In April 2010, the Northwest Christian Writers Association (NCWA) celebrated our twentieth anniversary. NCWA began in 1990 with a vision and a handful of enthusiastic writers. We held our first planning session on April 24, 1990, in a classroom at Westminster Chapel in Bellevue, Washington, with Linda Wagner as facilitator. Why Was This Group Needed? Since Linda was in charge of the Seattle Pacific University Christian Writers Conference, several of us had contacted her about starting a year-round Christian writers group. At the time, no other such group was meeting in the Seattle area. We felt an association would be useful for instruction, critiquing, and fellowship. We voted to have a steering committee as an interim board to draw up an organizational plan for the coming year and to plan the first meeting. The following people volunteered to serve on this committee: Cindy Buckingham, Peggy Downing, Gloria Chisholm Kempton, Agnes Lawless, Margaret Sampson, Pauline Sheehan, and Linda Wagner. The Northwest Christian Writers Association was founded on April 24, 1990, as a board-governed, nonprofit, support organization for Christian writers. The Northwest Christian Writers Association is an organization of writers, providing critiquing, encouragement, fellowship, instruction, and networking for one another. Our purpose is to develop excellent, professional writing that will honor God and serve others. To meet the above needs, the organization would plan and conduct monthly evening meetings and occasional seminars. On July 11, 1990, nineteen writers met at Seattle Pacific University (SPU) in Demaray Hall. Our purpose was to officially set up an organizational structure with officers and committee heads. Linda Wagner presented our definition of the organization, its mission statement, membership fees, and job descriptions and qualifications of officers and committee coordinators. She encouraged those present to nominate or volunteer for positions on the board. The following people became NCWA’s first board: chairperson, Linda Wagner; vice chairperson, Bob Brown; secretary, Agnes Lawless; treasurer, Margaret Sampson; resources, Peggy Downing; membership, Tammy Perron; program, Gloria Chisholm Kempton; and public relations, Pauline Sheehan. All were voted in unanimously. Peggy Downing gave marketing tips, and ‘Leen Pollinger presented a book review. Michele Cresse was voted in as critique-group coordinator. We then divided into small groups, sharing successes, rejections, and purposes for writing. The meetings that followed that year included teaching on various aspects of writing, inspirational segments, publisher profiles, book reviews, and small discussion groups. By the third meeting, we had forty-one members. When university officials said they needed the room in McKenna Hall for an evening class, we moved our meetings to the third floor of Demaray Hall. But after two meetings there, the NCWA board decided something had to be done about the location. SPU was central and familiar, but we had limited parking, a set room assignment with no space for growth, and difficult access to the third floor. The room was not available until 6:30 p.m. because of a previous class, and few tables were available for displays. Further, Bob Brown or John Lawless had to carry our large coffee and hot-water urns up three flights of stairs. Older members, too, found the stairs daunting. In the summer of 1994, NCWA and SPU cosponsored their first all-day workshop, with Linda Wagner and Kathi Allen as facilitators. On Friday evening, author Clint Kelly was the inspirational speaker. Saturday featured workshops on promotion, fiction characterization, and article development. The Northwest Christian Author began in September 1990 as a one-page, typed newsletter edited by Agnes Lawless. By January 1991, Diana Savage did a professional-looking layout on two pages. When Agnes turned the newsletter into a six-pager in 1992, Sharon Hagen took over the layout. The newsletter grew to eight pages in 1994, and Lorinda Newton became the desktop publisher, working with Agnes as the editor. In January 1995, Lorinda became the editor, and Agnes stepped down to the assistant’s role. This continued until 2003, when Marce Fromin and then Tim Grayson took the editor’s spot. Carla Williams became the managing editor in 2005 and continued until April 2012. Agnes then took over as managing editor in May 2012. NCWA has grown considerably over the years, and our members are still enthusiastic. Each monthly meeting includes prayer, a devotional segment, a writing exercise, conference information, a time of sharing successes and rejections, and networking during the break. To top off the evening, an excellent speaker provides motivation and practical suggestions for improving our writing. An undertone of excitement fills the room, for God is at work in this group of writers. Agnes Lawless Weaver is a writer and editor living in Snohomish, Washington. 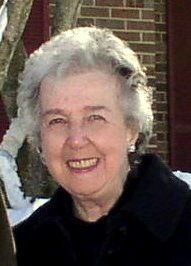 One of the founders of NCWA, she served as president and vice president and was editor of the Northwest Christian Author for four years. She is the author or coauthor of eleven books, including The Drift into Deception (Kregel) and God’s Character (Gospel Light), as well as numerous magazine articles. ©2016 by Agnes Lawless Weaver. All rights reserved. This article originally appeared in the Northwest Christian Author newsletter. Thank you for recording this important history of NCWA. Well done. Such reporting grows more valuable as the years pass. I am so appreciative of this organization and the hard work that went into its planning and continued success. I travel to the meetings from La Conner and wouldn’t miss them for anything. The critique group I belong to has been instrumental in developing my writing skills. What memories! Wonderful to hear of the continuing ministry of NCWA. I’m a New Zealander resident in Australia. I’m hungry for association with Christian writers. At the moment I’m writing a series of novels aimed at motivating young readers to read the Word of God so that they will discover for themselves that God’s Word is literally relevant to overcoming the pressures of modern life. Obviously I can not attend any meetings, but just as there is no distance in God, I believe I can benefit from association with your group and grow in knowledge through contact by inspirational newsletters that will be transferred to my writing. I have had the prompting to include another character that will allow me to use scripturally-based comments spoken by the characters to show the illogicality of many arguments used by the teenagers of today. I’m excited with this development as it is no longer I who write of myself but the Holy Spirit who prompts. Myles, thank you for connecting with NCWA! GOD bless you as you bring glory to His Name. I attended a meeting several years ago and am happy to celebrate with you your long-standing success. Wanted to let your members know about our Holiday Book Fair, Sunday, November 21, 1-5 p.m. at the Courtyard Hall, Country Village. You should come meet Jerry Gay, Pulitzer Prize-winning photojournalist, whose book Seeing Reality and presentation are very thought-provoking. His talk, WWJS and WWJS (What Would Jesus See, Whar Would Jesus Say) might make an interesting program for the group sometime. I am at the beginning stages of wanting the dream of writing childrens books come to life and then I want to write a book on how God worked in our life to bring a little girl from Nicaragua to us. I need to start somewhere and as a christian I ran across your website and wanted to ask where you all meet here in Seattle and can anybody attend? Please visit our main website http://nwchristianwriters.org/ for details about our meetings. Anyone is welcome to attend; non-members pay a $5 fee which is deductible if you decide to join. We have a conference coming up on May 20-21st (see website for details) and I’d love to meet you there!